JoAnn - you did very well here and enjoyed this a lot! And I remember the Yahoo Book Group List or I think I do. It was a group, right and we commented on the books? I think I participated in the late '90's, early '00's. The only one of the books you listed that I've read is Portrait of a Lady and I didn't like it. Actually, the only James book I do like is the ghost story, The Turn of the Screw. 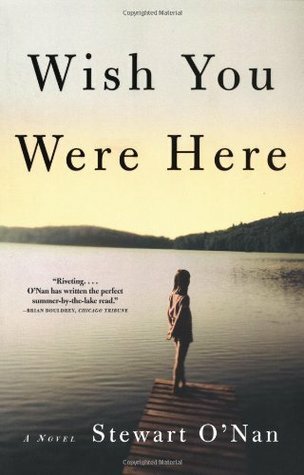 I did desire to read Wish You Were Here at one point and kind of forgot about it. Thanks for reminding me! Thanks, Kay... this was fun. I'll probably try it again next month. The Book Group List on Yahoo read 2 books per month and used to be avery active group. I participated in the early 00's before starting my blog. I think I've read The Turn of the Screw two or three times and always seem to have a different idea about that actually happened. My book club is reading Women in Sunlight this month so I'm glad to see you enjoyed the book. I think I'll actually be able to attend this month. Kathy - Women in Sunlight was almost as good as taking a vacation... the audio version was especially good. My book club was going to read it for July, but there weren't enough copies in our library system. It's very popular this summer! Karen K. - YES!!! And she is wonderful... as always.I became very impatient with Henry James while reading, but it was a pleasure to listen to Juliet Stevenson. Interesting concept, you did a great job! Simon - That's so funny. Can't wait to see how you arrived at The Enchanted April! i loved Women In Sunlight...And I’ve read some Stewart O’Nan books, too. I don’t think I could connect books the way you did! Patty - I wanted to live in Women in Sunlight... it was wonderful! I haven't read any Stewart O'Nan in 2 or 3 years. Might be time to get back to him. I've loved the Stewart O'Nan's I've read, but haven't read these two. (mentally adds to list). Welcome to your first #6degrees JoAnn! 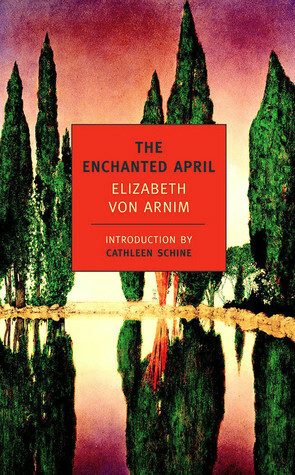 I really must reread The Enchanted April one day. Not so sure if I want to reread A Portrait of a Lady though - once was enough there I think. Even though I have enjoyed many of James' books over the years, I prefer Edith Wharton. Brona - It's surprising how much more effort Portrait of a Lady required this time. I prefer Wharton, too! Superb chain featuring some of my favourites :-) (Enchanted April and Portrait of a Lady). Hadn't heard of Emily Alone of Women in Sunlight but both sound like books I'd like. Have been meaning to read the Banville for ages... thanks for the reminder! (Although perhaps a reread of Portrait first??). Kate - I consider The Enchanted April and Portrait of a Lady favorites, too! Think I appreciated Mrs. Osmond more having the story fresh in my mind, too. Atonement is my favorite of all the McEwan books I've read. I know a lot of readers hated it, but it's on my lifetime favorites' list and one that I plan to read again in the not too distant future. I sure hope it lives up to the memory I have of it! 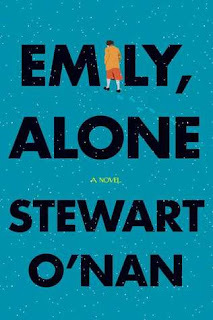 Emily, Alone is another favorite, which Nan recommended and one that I hope to read again soon. 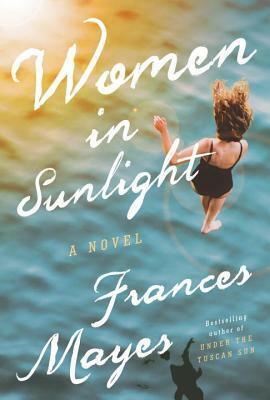 I gave up on Women in Sunlight (on audio), but will give it another chance in print. I've been in a bit of an audiobook slump and couldn't get interested in the story, but I have a feeling it's a winner. I just need to be in the right mood for it, I suppose. Les - I liked Atonement, and have kept the hardcover on my shelf all these years with plans of rereading. After having read so many other McEwan novels, I have a feeling I'd appreciate it even more. Emily, Alone was a favorite the year I read it... and I remember relying on Nan's recommendation, too. My mother recently gave up on Women in Sunlight in print. I remember it took a little while for me to get into it, but I ended up loving it (especially the audio version)... maybe it's not the right book for you right now. Great links! 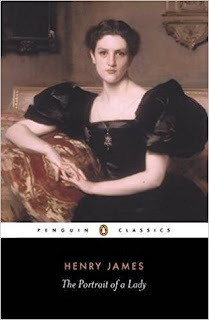 The Portrait of a Lady is on my classics club list too, and I want to pick up Mrs. Osmond once I've read it. 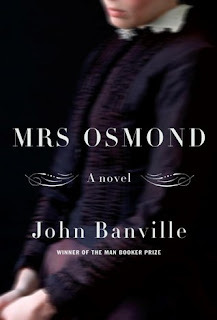 Jessie - The Portrait of a Lady and Mrs. Osmond make great companion reads. At times I thought Banville's writing in the Jamesian style was even better than James himself! 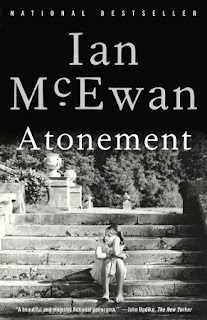 Interestingly, Atonement was the only McEwan book I've actually enjoyed. I almost threw On Chesil Beach out of the car window. Clearly I'm not in the love him category! Lisa - Seems like there isn't much middle ground when it comes to McEwan. He's been a little uneven for me, but I'm willing to try anything he writes.